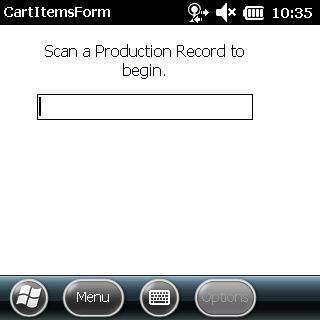 First, you should log into the scanner application and select Production Mode from the main menu. Once you have entered Production Mode. Scan a BPR bar code from your printed documentation in Virtual Office to begin adding containers to the BPR. Scanning the BPR will cause the scanner to load all current containers assigned to the BPR. 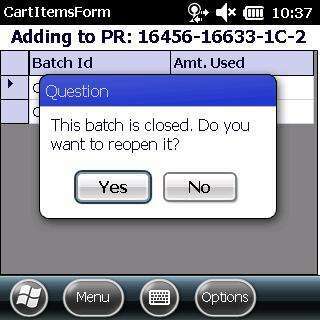 To add a container to the BPR scan the batch sticker for the container you wish to add. If a container is scanned that does not belong the BPR an alert will show to the user stating that the container is not valid for the BPR scanned. 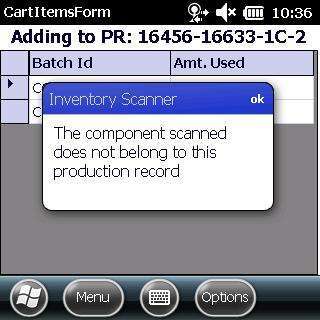 If the container scanned is not an ingredient the scanner will automatically add the amount needed for the BPR. 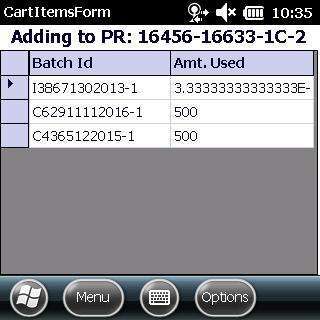 If the amount in the container is less than the amount needed for the BPR the amount in the container will be added. Once a container has been added the screen listing the containers added to the BPR will refresh showing your container has been added. 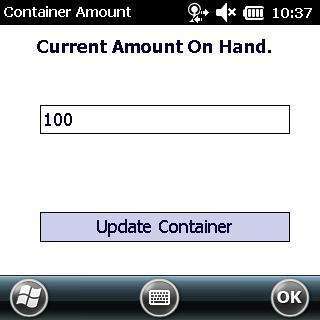 If you scan the container again any amount remaining in the container will be added to the BPR. This will allow you to add more to a BPR than it calls for. 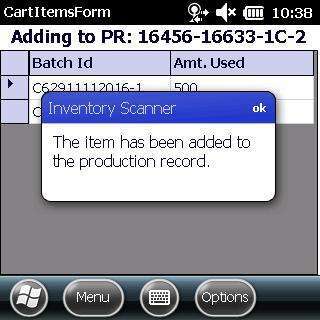 If the container you scanned is an ingredient container the scanner user will be prompted to enter the amount that they wish to add to the BPR in either grams or kilograms. You cannot enter more than the amount needed for the BPR or an amount greater than the amount in the container. Once a container has been added the screen listing the containers added to the BPR will refresh showing your container has been added. it is possible to add a closed batches container to a BPR with the scanner. If a closed batches container is scanned the scanner will prompt the scanner user asking if they want to reopen this container. 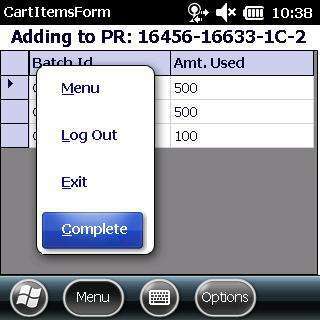 If the user presses yes a form will appear to enter the amount currently in the container. Once the Update Container button is pressed the container will be updated and added to the BPR. To stop adding containers to a BPR either scan another BPR or go to the menu in the bottom left corner and select complete. 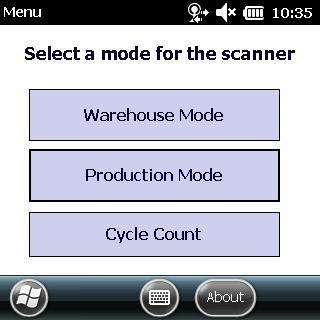 Pressing the complete button will present the user with the screen to scan another BPR.